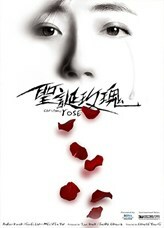 Here is your chance to watch Christmas Rose 聖誕玫瑰 for FREE a day before it opens in local cinemas! RAM Entertainment is giving away 60 pairs of passes to The Star readers for a special screening of the film. Just cut out the coupon (The Star newspaper - 22nd May 2013 - Star2 section, page 13 ) and redeem your tickets at the cinema stated above.